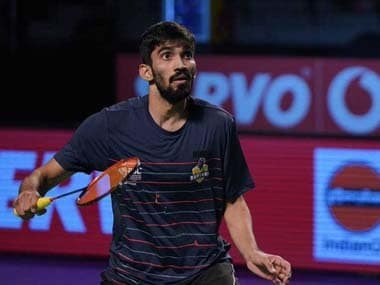 Paris: Indian shuttler B Sai Praneeth suffered a narrow defeat against Lee Hyun Il of Korea in the opening round of the men's singles competition at the USD 300,000 French Open Super Series in Paris. 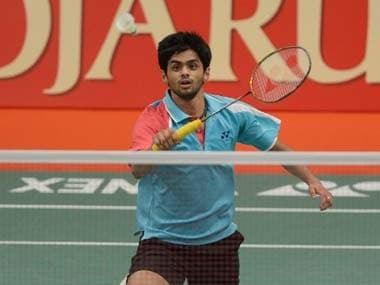 Praneeth, who had won the Canada Open Grand Prix at Calgary in July, went down fighting 21-15 8-21 19-21 to Lee in a men's singles match that lasted close to an hour at the Stade Pierre de Coubertin on Tuesday. Praneeth fought back from 3-5 and 6-9 down to reel off eight straight points in the opening game and eventually pocketed it comfortably. But in the second game, Lee changed gears and didn't allow Praneeth to pose any threat as he marched ahead with giant steps after leading 3-1 initially. In the decider, Praneeth was 4-1 and 7-4 ahead at one stage but Lee turned the tables, leading 12-10 and after that it was a neck-and-neck battle till 19-19 when the Korean moved ahead to shut the doors on the Indian. 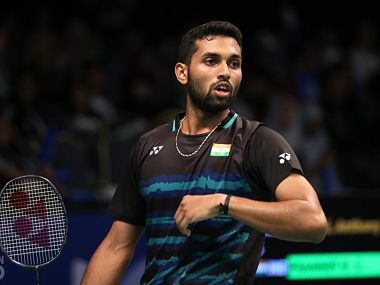 Olympic silver medallist P V Sindhu and Swiss Open champion H S Prannoy are the only Indians left in the competition after Ajay Jayaram also bowed out yesterday. Sixth seed Sindhu will face He Bingjiao of China, while Prannoy will take on Chinese Taipei's Chou Tien Chen, seeded fifth.